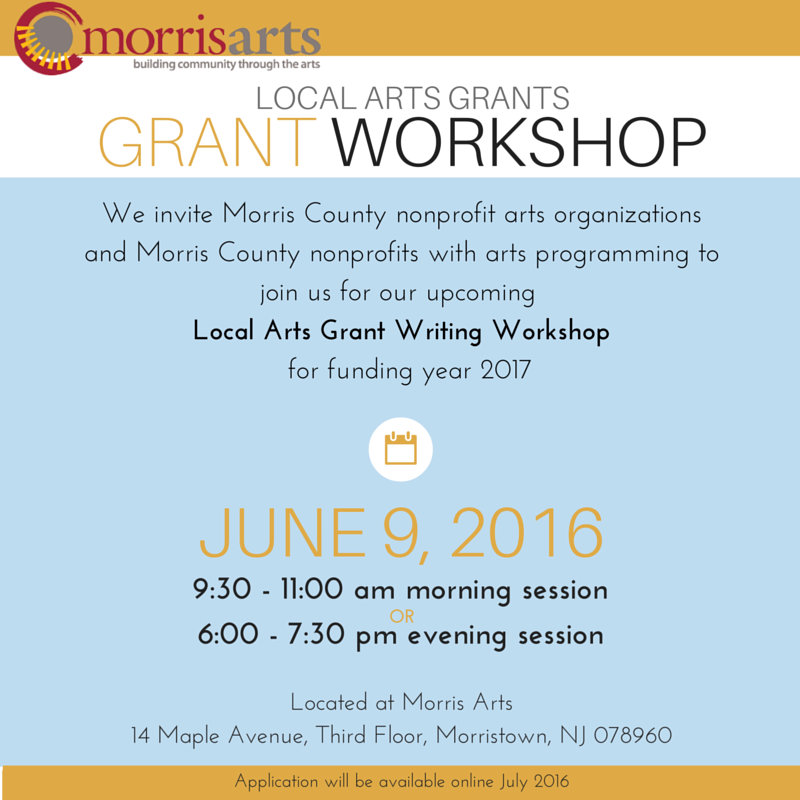 Is your Morris County arts non-profit organization interested in receiving a grant from Morris Arts? Is your Morris County non-profit organization seeking funding for an arts project? Then this workshop is for you! 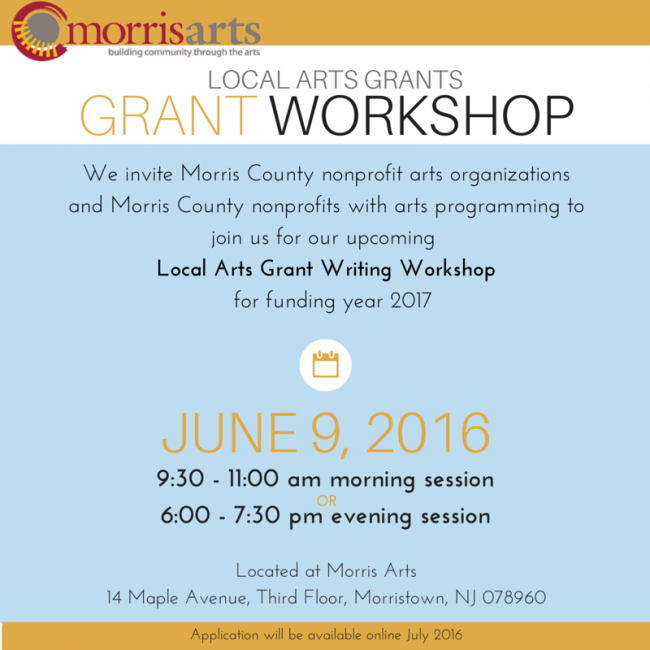 We invite Morris County nonprofit arts organizations and Morris County non-profits with arts programming that wish to apply for Local Arts Grants from Morris Arts to join us for our upcoming, free Local Arts Grant Writing Workshops for the funding year 2017. Click here to register for the morning session. Click here to register for the evening session. Morris Arts offers Local Arts Grant funding to Morris County non-profit organizations that provide the Morris County community with arts events that are artistically excellent, provide public benefit, and are accessible to the public. Organizations already receiving funding from NJSCA are not eligible for a Local Arts Grant. The Local Arts Grants, administered in Morris County by Morris Arts, provides funding to local arts organizations from the New Jersey State Council on the Arts/Department of State, a Partner Agency of the National Endowment for the Arts. The program offers grants for general operating support and for special projects to qualifying Morris County arts organizations, as well as non-profit organizations that provide arts programming. Applications are reviewed by an independent panel and funding awarded on a yearly basis.